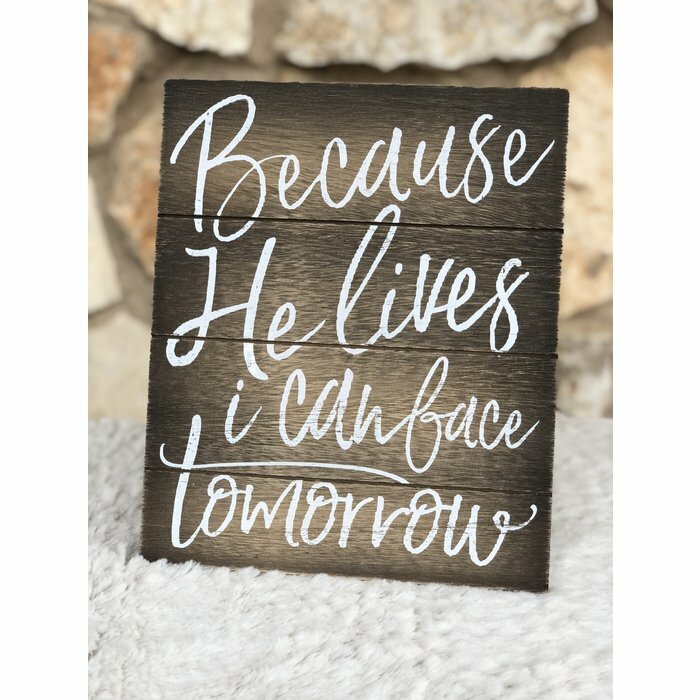 Dimensions: Length: 3 1/2" - Width: 7 7/8" - Height: 9 1/8"
Inspire your surroundings with a decoration like Because He Lives Wood Decor! 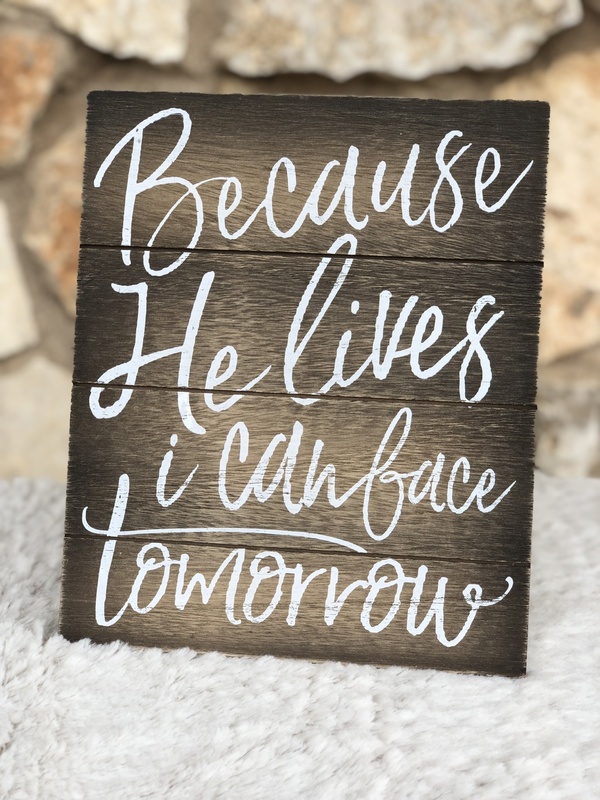 Made of MDF, this lovely piece features a faux wood pallet design with a distressed surface quality and a "because he lives I can face tomorrow" text design in slightly translucent white lettering. Arrange it on a mantel or a table to express your faith with style!